​Arsenal midfielder Mesut Ozil says Arsenal have to keep being 'hungry' for progress despite their recent impressive run of results, and insists things are just getting started under Unai Emery at the club. 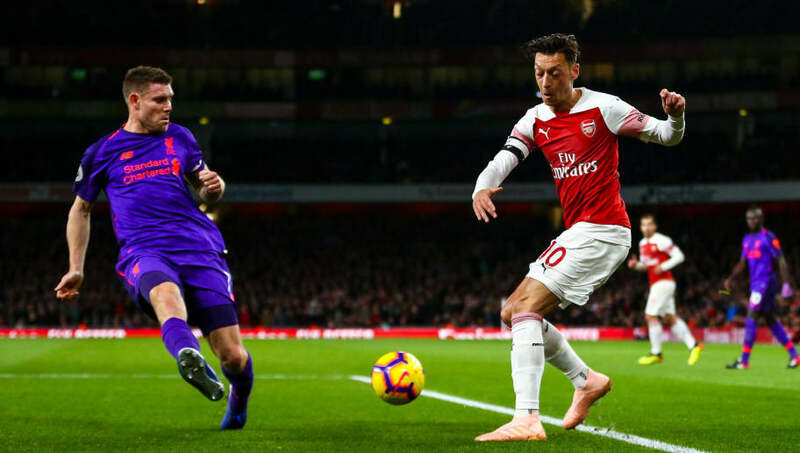 After struggling to find his feet in the early weeks of Emery's regime, Ozil has come into his own of late, starring as the Gunners extended their unbeaten run in all competitions to 14 matches with a 1-1 draw against Liverpool at the weekend. It's a more impressive start than anyone had anticipated, but ​Ozil insisted in a recent interview with the ​Mail that not he, nor the rest of the ​Arsenal players, can afford to rest on their laurels despite their recent successes in the ​Premier League and beyond. "Personally, things are going well but that doesn't mean I stop working," he said. "The most important thing is that the team is going well at the moment. It's a process — every coach has a different strategy or philosophy and we can feel it. "It's a tactical thing with the new coach. We are learning from him, we are trying to give our best on the pitch every day and every hour. "But we have to keep being hungry, and keep progressing. It's not like we are done now. It's like we are just starting. "We are doing well for now, but that doesn't mean we stop." Although his recent form has been impressive, Ozil's game hasn't come without its critics, with certain pundits labelling him as lazy and petulant. The German, however, says he is unfazed by reflections on his performance that come from outside his immediate circle. "For me, what is important is what the people in my inner circle tell me," he added. "If the coach, or people in my circle, tell me 'Mesut you have to do this, or have to do that' then I listen. I'll take that and work on it. "But I don't look at what someone else is saying. It really doesn't affect me."